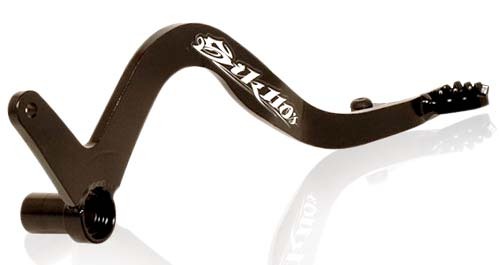 Over-The-Top rear brake pedal for the KLX110 or KLX110L Heavy duty 1/4" Steel, TIG welded construction with built in rubber case bumper as well as open desert peg design for clean operation. Precision machined pivot point with stock return spring location for easy installation and operation. No modifications needed to install our pedal, bolt on a go. Manufactured in the USA, from 100% US materials and labor. so it can't hang up in a rut, or snap off. Since 2004, every purchase from TBolt USA includes access to technical support from our staff of experts and our online Pit Bike Technical Info Database! We have all necessary support parts on hand. Most orders ship same, or next business day, unless otherwise noted above.